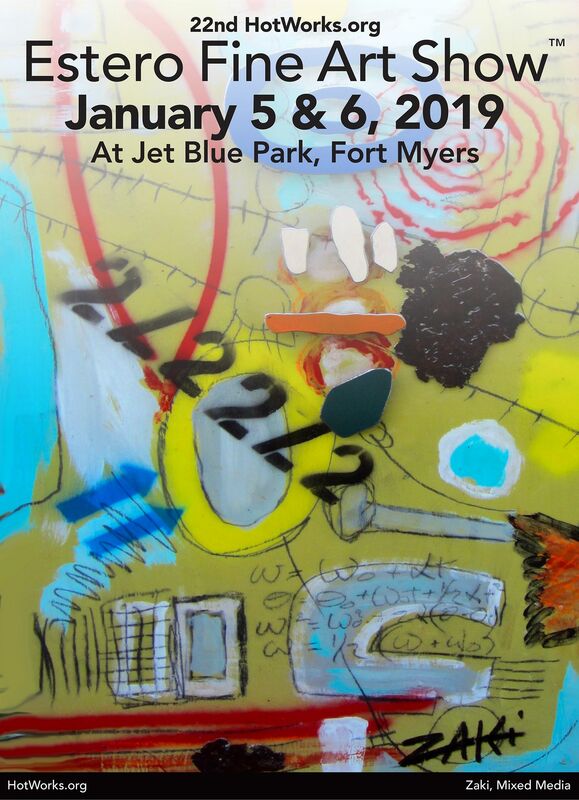 Dates: The Estero Fine Art Show is on January 5 & 6, 2019. Description. 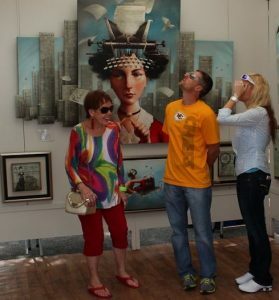 This top-notch fine art & craft event brings to Estero, Florida new original paintings, drawings, pastels, photography, ceramics, clay, glass, sculpture, wood working and carvings, fiber art and art jewelry from the ateliers, studios and workshops of some 120 local and internationally-acclaimed artists. 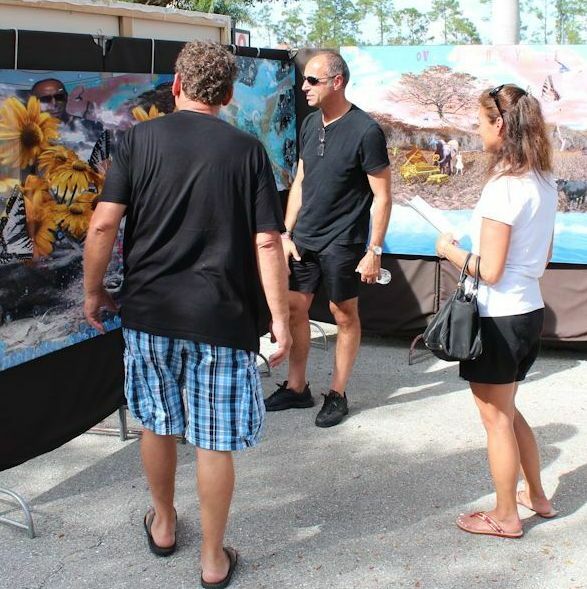 All are present throughout the two-day event and eager to answer questions about their work and inspiration. 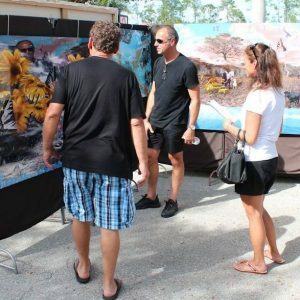 Live art demonstrations afford numerous opportunities for patrons to witness first-hand the various processes that the artists’ go through and the techniques they employ in order to create high-quality artworks in their chosen medium. Whether you have a serious interest in finding the perfect painting, photograph, sculpture or other artwork for your winter residence here in southwest Florida or your summer home some place else or you just enjoy browsing fine art under clear blue skies, the Estero Fine Art Show is for you. Organizer Hot Works LLC goes out of its way to “create an atmosphere that enhances the artwork and creates a relaxing environment for art lovers.” So save the date in your smart phone or calendar. These are two art festivals you won’t want to miss. Parking: There is a $10 fee for parking that covers both days of the show. Organizer: The Estero shows are produced by Hot Works, LLC, which also runs the award-winning Orchard Lake Fine Art Show in Michigan. 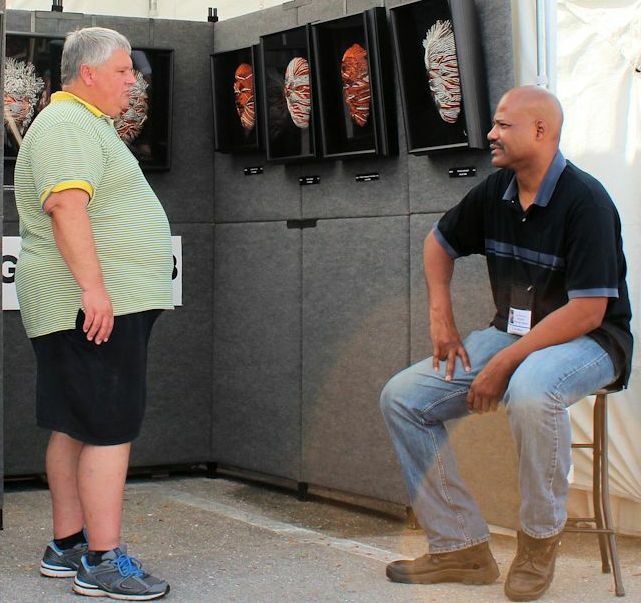 In order to achieve a high-quality fine art and craft show, the Hot Works team travels continuously around the U.S. and Canada visiting art shows and recruiting the very best artists for Hot Works events. 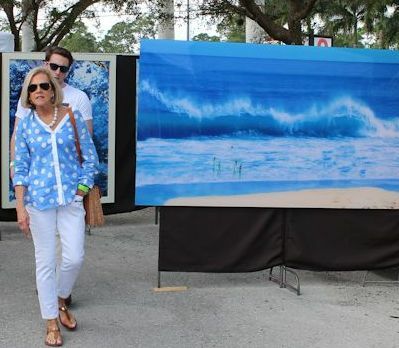 Those artists who do apply for inclusion in the Estero festivals must submit three compelling images of their work along with one showing their booth presentation. Then, a group of art professionals (that include gallery owners, directors and curators, and artists) reviews the application and images. 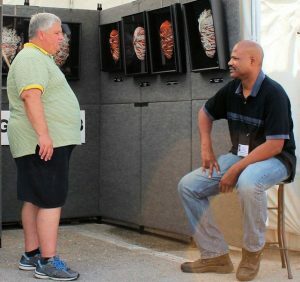 “We judge based on originality, technique and execution, quality, and booth presentation,” observes show director Patty Norozny. Only the finest are admitted into the shows. Director: Patty Narozny. In addition to 25 years of media and event experience, Patty has a corporate finance degree from Wayne State University in Detroit, Michigan. 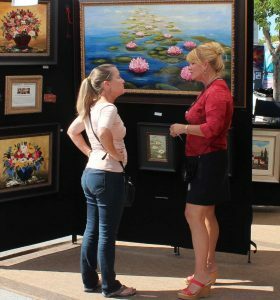 Currently, Patty produces high-quality, juried fine art & craft events in not only in Florida, but Michigan and North Carolina. 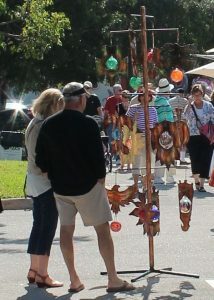 Narozny is the founder of Hot Works Fine Art & Craft Shows. Facebook: You can follow these events on Facebook at http://www.facebook.com/event.php?eid=219253024762681. Event Hot Line. 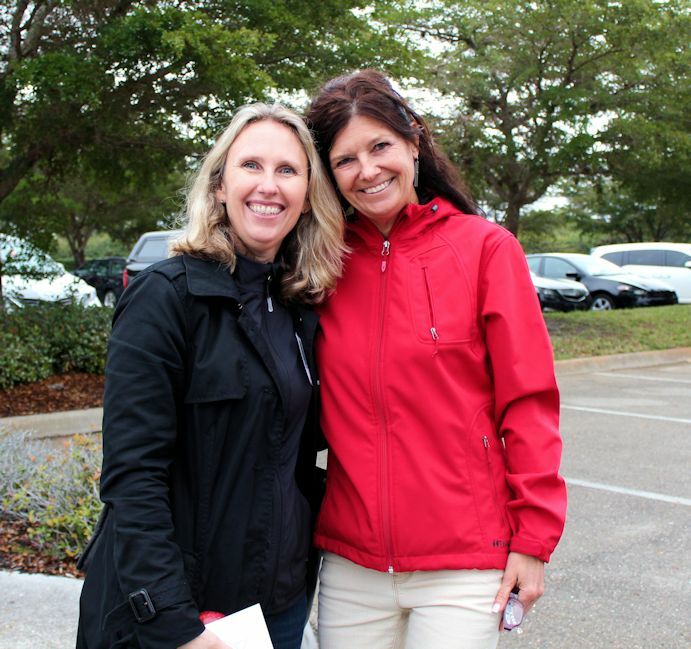 The event hot line is 941-755-3088. Through its Youth Art Competition, the Institute encourages kids in grades K–8 to create and display their own works of art with a chance to win cash prizes. 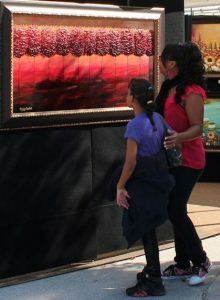 For both festivals, young artists are invited to create artworks for Hot Works’ Youth Art Competition. 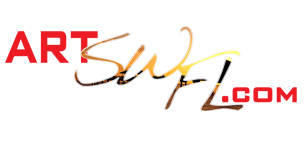 Click here for a youth application: WWW.HOTWORKS.ORG. We were very disappointed to get to JetBlue and have to pay $10. This website (and tv ad state that parking is free.